The New Work Foundation has joined Giving Tuesday, a global day of giving that harnesses the collective power of individuals, communities and organizations to encourage philanthropy and to celebrate generosity worldwide. Churches across our associational area are encouraged to promote to their members giving to start new churches. Giving Tuesday is annually held on the Tuesday after Thanksgiving, following the widely recognized shopping events on Black Friday and Cyber Monday. Our Giving Tuesday emphasis kicks off the holiday giving season and inspires people to collaborate to start new churches when they give back in impactful ways to the New Work Foundation. 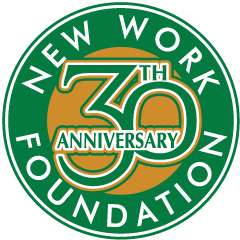 All contributions to the New Work Foundation are tax deductibule. Listen to the Giving Tuesday podcast here.